LTTR offers many solutions for Call tracking and Vanity Phone Numbers. This allows us to track leads/calls per week/month, also come up with really memorable numbers for your prospects to have on hand (in mind) once they leave the site. Vanity phone numbers consist of a combination of letters and numbers and are considered by most to be a great marketing tactic. Not only do vanity phone numbers look more professional – they can help your business sound more professional. 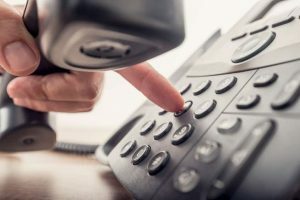 Beyond this, a good vanity phone number is memorable, making it easy for customers and prospects to remember how to reach you. One of the most well-recognized vanity phone numbers belongs to 1-800-Flowers. It’s easy to read, easy to spot on a billboard as you’re driving by…but most importantly – it’s easy to remember. At Look to the Right, we have the experience, tools, and resources to help you choose a vanity phone number that will help you drive more business. Contact us today for more information! Contact LTTR today to get your vanity phone number and call tracking in place!